I have been acting for over 20 years on camera, on stage, on radio, etc. My background is comedy, specifically improvisation, writing, producing, directing. I thrive off the adrenaline that speaking to crowds provides me, and I am excited for my next venture. Angela LaRocca is a St. Louis native, who worked extensively in the Chicago and Los Angeles markets. 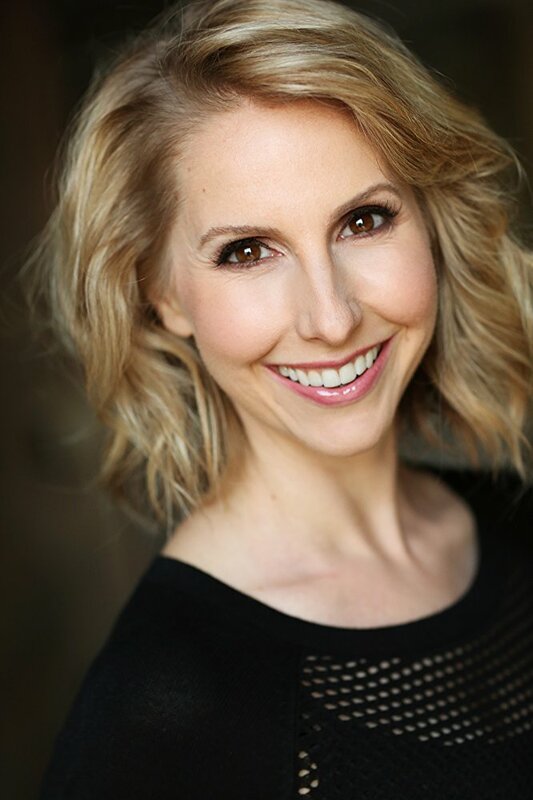 Beginning on-camera work as a teenager (nevermind that Sega commercial circa 1994), Angela’s passion for performing expanded to the improv world at The Second City. Angela earned her bachelor’s degree in Television Production from Columbia College Chicago with a concentration on Writing/Producing, followed by internships at the Donners Company and Comedy Central. Some of her diverse award-winning film work includes lead roles in comedic and dramatic shorts, both scripted and improvised. Angela’s most recent live performance was her sold-out one-woman show, “Undercover Undergrad,” which premiered at the St. Louis Fringe Festival, and had a run in NYC, LA, and Rome. Angela’s voice can frequently be heard on radio spots, complemented by film projects, and in numerous corporate videos. She is beyond ecstatic to be able to continuously work in the field she loves, and looks forward to bringing her vision from the script to the screen.